People who don’t manage a chronic health condition have asked me why it’s inappropriate for them to refer to the Spoon Theory to describe how tired they feel. At first I thanked them for letting me know it was inappropriate, which was mostly due to me not having enough spoons to be invested in how other people refer to their energy levels. I trusted them to know themselves. My hands were full. Yet, I realized upon further introspection it wasn’t about how they referred to themselves, so much as not understanding what chronic illness looks like on a daily basis. Having pondered that, my well-thought response is you can refer to your energy level however you want to. 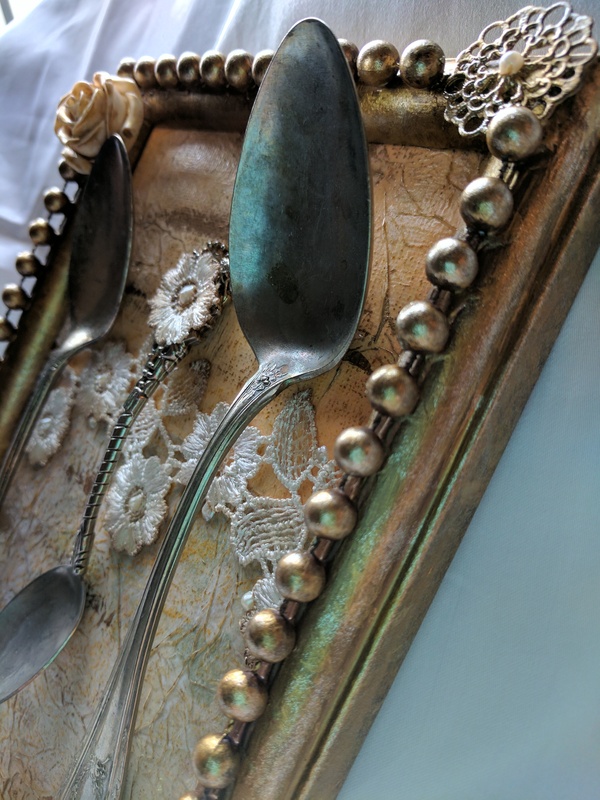 The deeper consideration is does using the Spoon Theory to describe being tired help you understand what it is to be chronically ill yet still show up? Maybe. Maybe stabbing pain is your first sense of being awake in the morning. Maybe your first thought is what day it is, because that determines what supplements or pills need to be taken, packed to transport, what times they have to be taken. Maybe then you think through what foods you ate yesterday, which hints at this particular morning’s degree of pain–what you had too much off, what you had too little of, what may have been cross-contaminated–and directly impacts what foods you can eat today. That, of course, triggers thoughts of where you’ll be going and what your food options will be, if you can successfully navigate away from the things that will make you sick, and if you should just pack more emergency foods than usual–and if so be sure to build in time to get that food together before leaving for work. Then you consider where you have to go and what you have to do, what the weather will be–thus what you will wear–and how easily it is to drive there, where you will have to park, how much walking is required once there, how much sitting, standing, and if you’ll need to wear braces for any of it. Then you reconsider what to wear. Because braces. You wonder how you’ll get your actual work done with hands already stiff and aching, then mentally attempt to build in breaks, movement, stretches–though not too stretchy, because that will bring on more pain, and not too obvious, because that brings questions that aren’t easily answered. It’s a workplace, after all. By that point you’ll start considering how much liquid to drink and what types–exact amounts of each–and mapping the proximity to restrooms and when you’ll have to visit them, and PRECISELY what time you HAVE to be home so that you can actually GO, and wonder if you still have enough medical supplies in your carry bag or if you need to pack more. You append that verification to the morning work-prep plans, too. You think through who you’ll meet through the course of the day and rattle off to whom you’ll have to explain why you’re wearing braces, why you can’t eat in THAT restaurant–which of course is why you brought your own food–and what #zebrastrong inked on the back of your hand means. You consider which doctors you’re seeing today, not confusing them with the ones you saw yesterday, and those you’re seeing later in the week. You hope the new one will listen, if not actually be able to help, and you can’t wait to feel relief in the presence of the ones that go way back–the ones who get it. You make sure you scheduled the aforementioned time off for appointments, which dovetails into thoughts of lowered income, more driving, traffic, complicated logistics, and how you’re going to catch up on the info you missed in the staff meeting yesterday because you were at the doctor. You try to remember if you called to get pre-authorization for the new doctor. Then there’s soccer practice after work, and generally being present for your kids, making sure they’re loved, clothed, fed, and affirmed that you’re there, still their parent, even though you can’t kick the ball around with them. They did get clean clothes for the day, right? After mentally tallying the pantry and freezer, you wend toward what’s for supper, at which point you’ll finally see your lover, who is somehow always last and knows it, until you can lean into that warm smile that wants to know about your day. Then, you actually get out of bed.